As part of our Quality and Innovation Programme, we invited artists Jo Coupe and Michael Condron to present their views of what constitutes quality and innovation, explain how they measure and achieve them and specifically explore the context of their activity or experience. Jo Coupe is an artist based in Gateshead whose work takes on a variety of forms from photography to installation. Jo has created several heritage-inspired commissions, including ‘Rarefied’ for Tatton Park Biennial 2008, ‘Deep Impression’ for Chelsea Physic Garden in 2012 and most recently ‘Give and Take’ as part of ‘Building Dreams’ at Cragside, Northumberland in 2013. Jo believes that artists have the ability to draw out stories of a place in a way that helps to bring history to life. She spoke about the rewards and challenges of different projects, and that working within a heritage context is completely different from that of a gallery. Heritage spaces allow artists to respond to the physical context and ideas of an institute in a way that intersects with their contemporary practices. She also mentioned the idea of ambition, such as ambition of scale or budget or other intangible things like scope. For example an ambitious project doesn’t necessarily have to have a massive budget, but rather it can be something as small as a creative intervention within a landscape that has a massive impact on people’s perception of a place. Michael Condron is currently working on the Eco2 artsNK project at the Power Station in Sleaford. 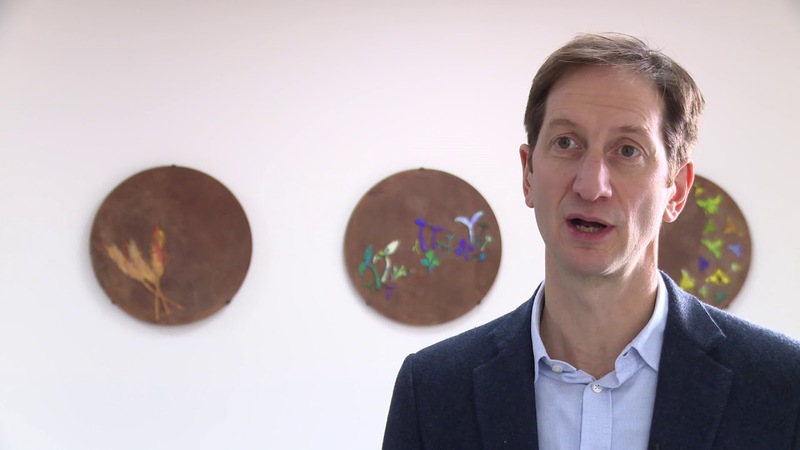 Michael shared his experience of undertaking a large Public Art commission of an exceptionally high standard as well as his experience in the public art sector to date. His talk was more of an informal chat, which included slides of his work and answering people’s questions about public art. Michael, who works primarily to commission, walked participants through the stages of several of his completed projects, which included the application, design, fabrication and installation. He ended with stating the importance of having flexibility within a plan, a professional attitude, and the ability to communicate your ideas visually and verbally to a diverse audience, from potential funders to project participants. If any of this seems interesting to you at all, why not consider coming to another talk? We’ve invited quite a few other artists and curators to give more presentations, including but not limited to Anna Cant, who played an instrumental role in the Structures on the Edge Project; the participatory theatre company Excavate (formerly known as Hanby & Barrett), whose collaborative heritage-inspired projects include I Worked at Raleigh and The Hammer of Defiance; and freelance curator Kate Stoddart who has worked with a number of contemporary artists within a historical context, including Tattershall Castle’s House of Bling exhibition. Stay tuned for dates and locations!